cheese pakoda recipe - a cheesy variation of pakoda are these tasty cheese pakodas. the crisp outer besan coating and the gooey cheesy melted cheese inside are contrasting textures in this recipe. 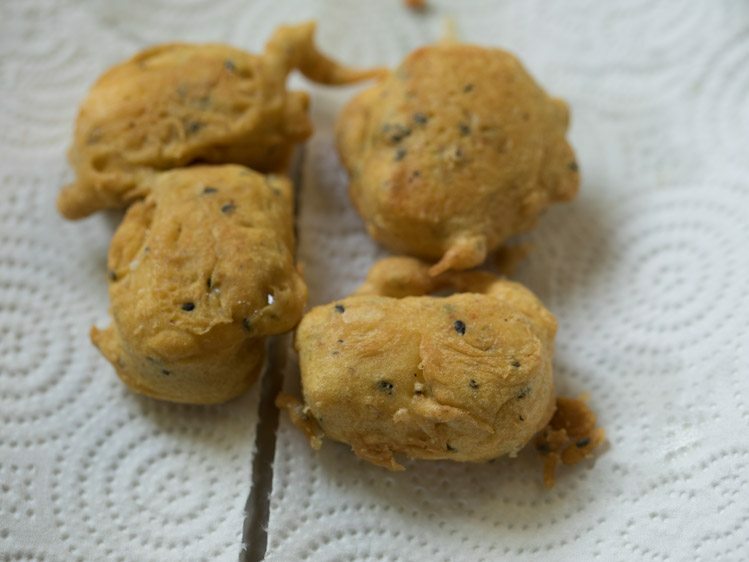 cheese pakora recipe with step by step pics. 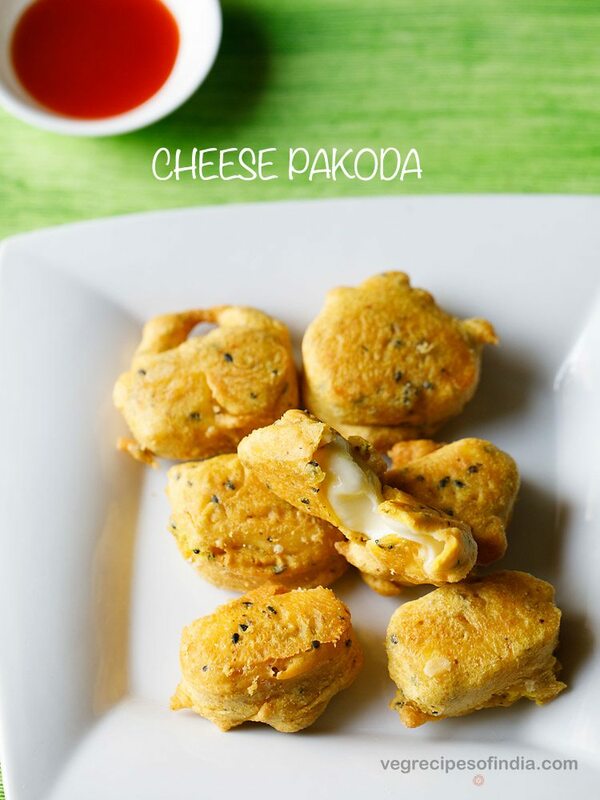 a cheesy variation of pakoda are these tasty cheese pakodas. the crisp outer besan coating and the gooey cheesy melted cheese inside are contrasting textures in this recipe. both cheese pakoda and paneer pakoda are snacks that is served in most restaurants. 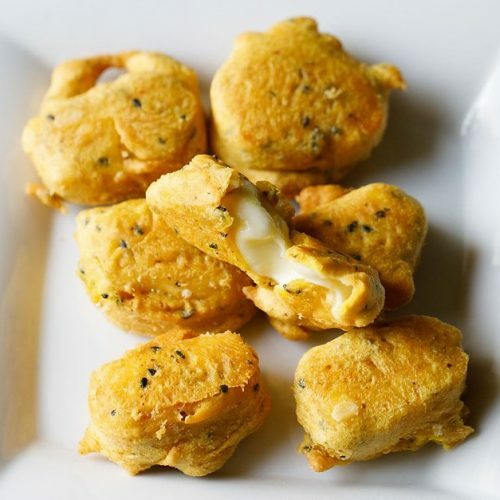 there are various ways cheese pakora can be made. 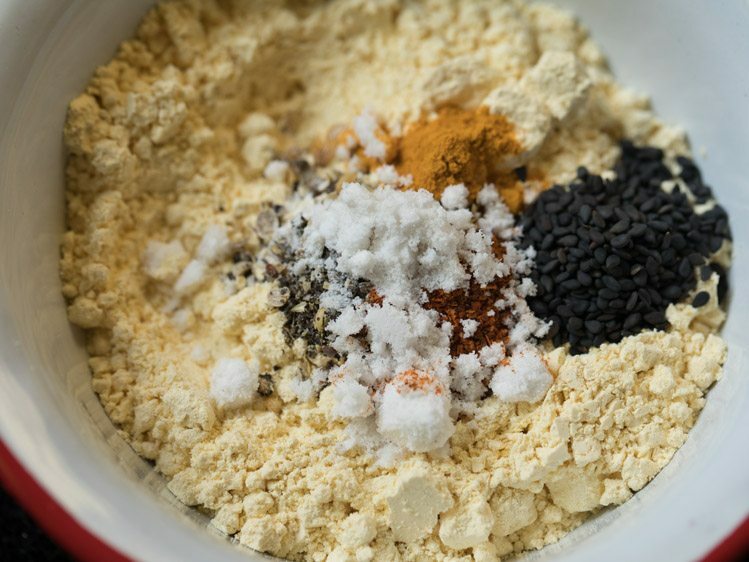 while making cheese pakoda, i like to use spices which accentuate the taste of cheese in the pakora. for the cheese you can use either processed cheese or mozzarella cheese. the batter has to be thick or else the cheese can melt and splutter in the oil while frying. 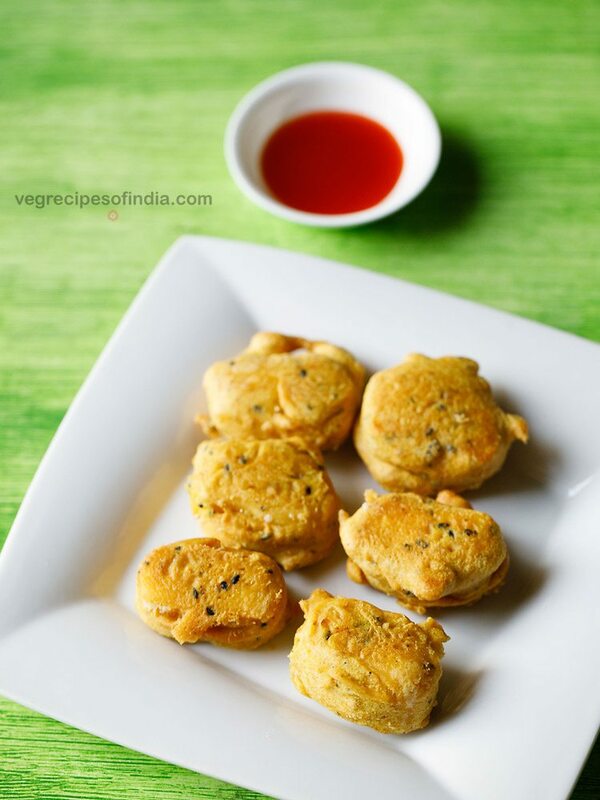 cheese pakoda can be made as a quick snack for kids or for small parties or get togethers. this cheese pakoda recipe can be easily halved or doubled or tripled. 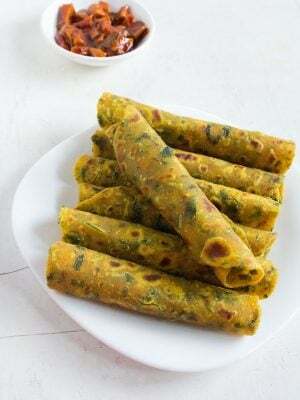 cheese pakoda can be served hot with mint chutney or coriander chutney or tomato ketchup. 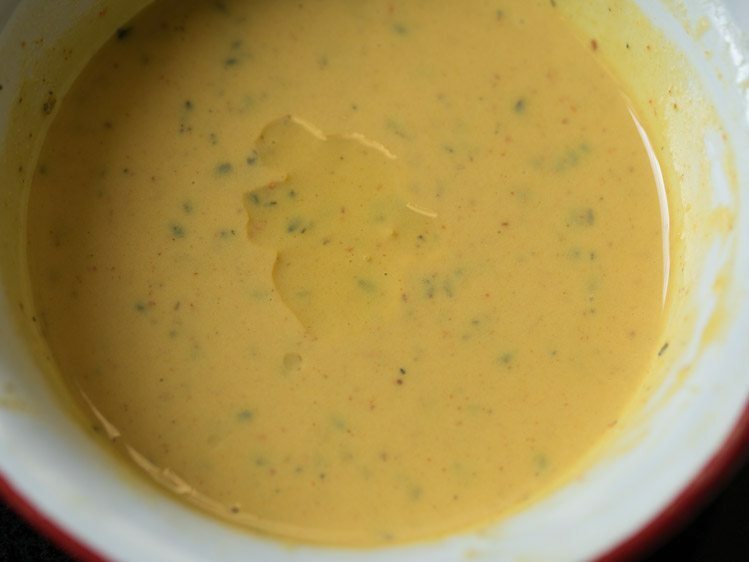 even sriracha sauce or a sweet chilli sauce accompanies cheese pakoda well. remember to serve these cheese pakoras hot for best taste. 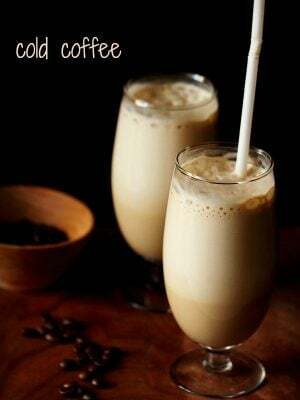 if you serve them warm or at room temperature then you won’t get the best taste. 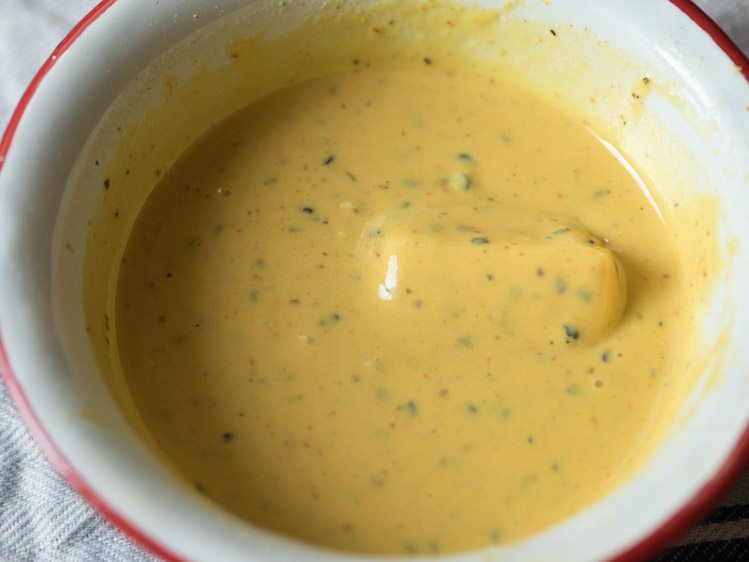 as then the melted cheese becomes thick and solidified. 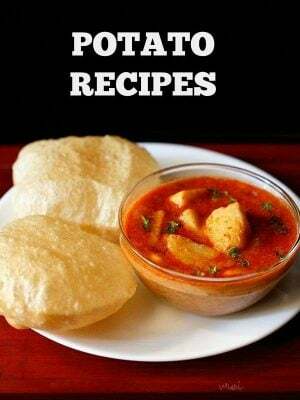 if you are looking for more cheese recipes then do check cheese naan, cheese balls, corn cheese balls, cheese garlic bread sticks and paneer cheese toast recipe. 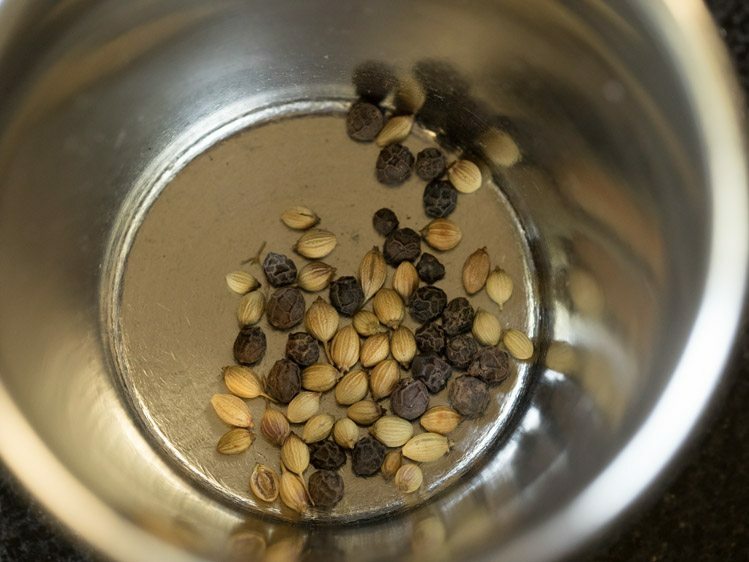 firstly in a mortar-pestle take black pepper and coriander seeds. 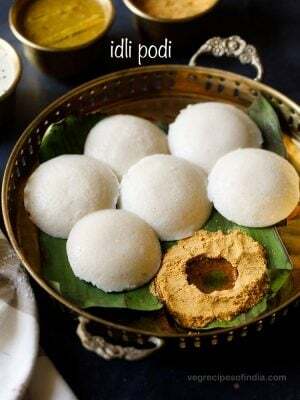 in a mixing bowl take ½ cup besan. add the coarsely crushed black pepper and coriander seeds. 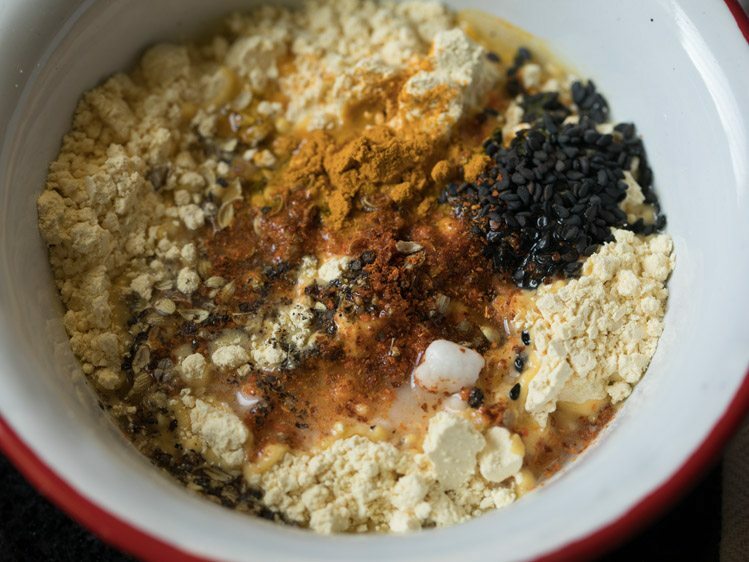 add asafoetida, baking soda, turmeric powder, red chilli powder, sesame seeds and salt as per taste. add 4 to 5 tablespoons water or add as required. 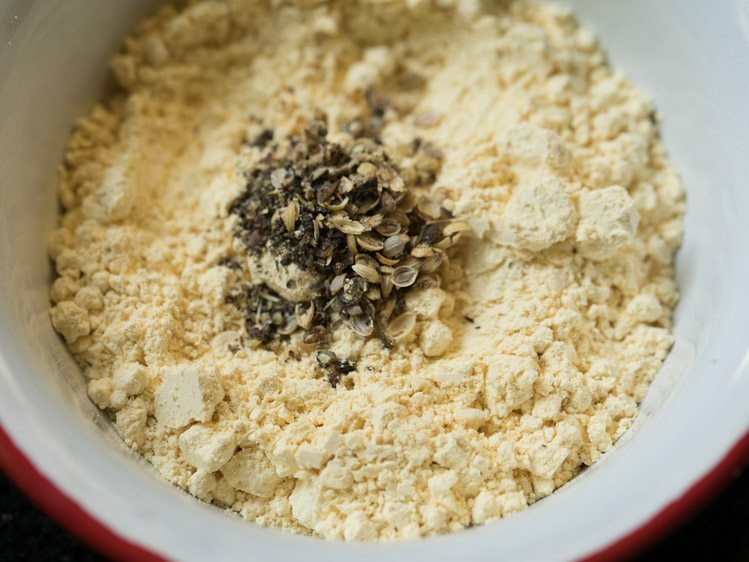 mix to a smooth thick batter without any lumps. take 5 amul cheese cubes or 125 grams processed cheese or mozzarella cheese. do note that the cheese cubes have to be removed directly from the fridge and then sliced. do not use cheese cubes which are at room temperature. 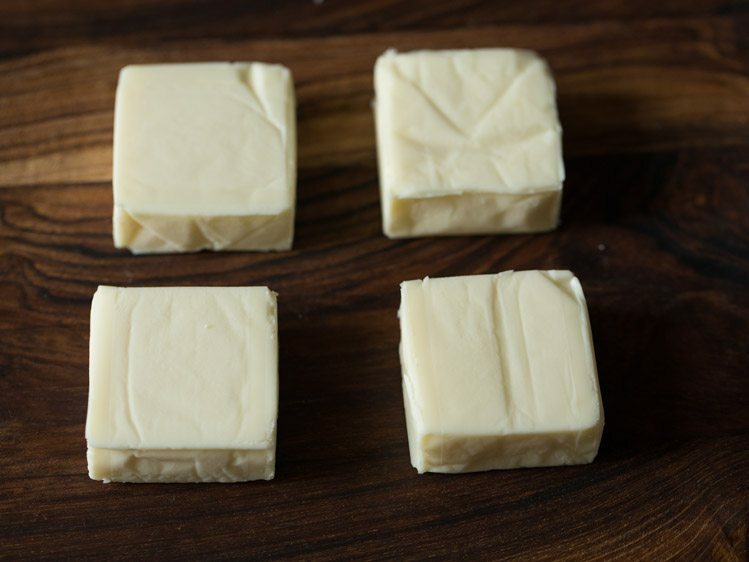 cut each cheese cube in two parts. heat oil for deep frying or shallow frying in a kadai or pan. 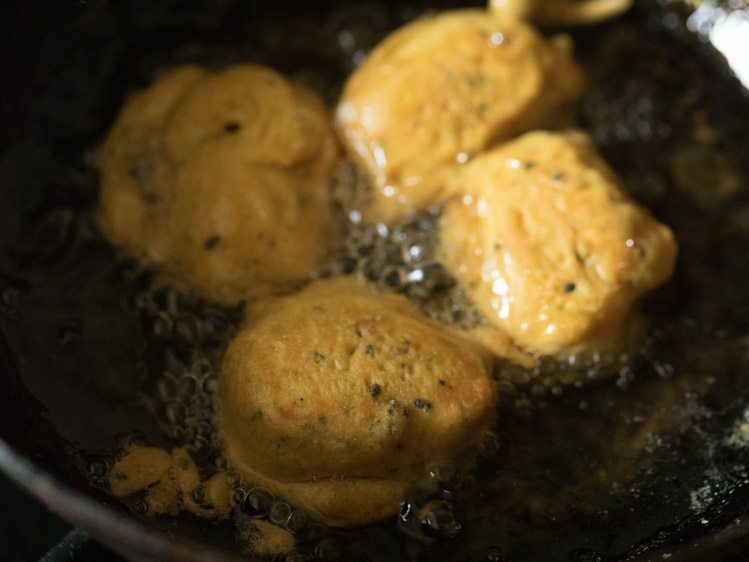 when the oil becomes hot, add 4 to 5 drops of the hot oil in the besan batter. mix it very well. this helps in making the pakoras crisp and they also absorb less oil while frying. 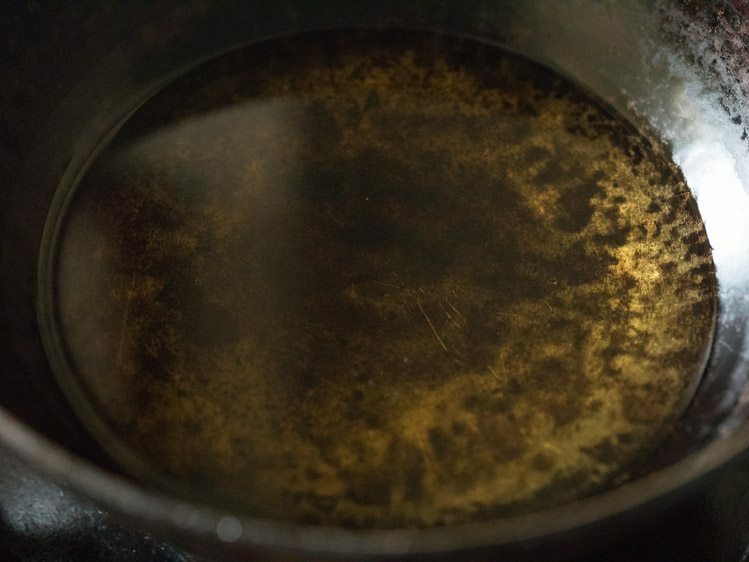 now check a tiny portion of the batter in the oil. it should come up steadily and gradually on top. this means the oil is hot enough for frying pakoras. 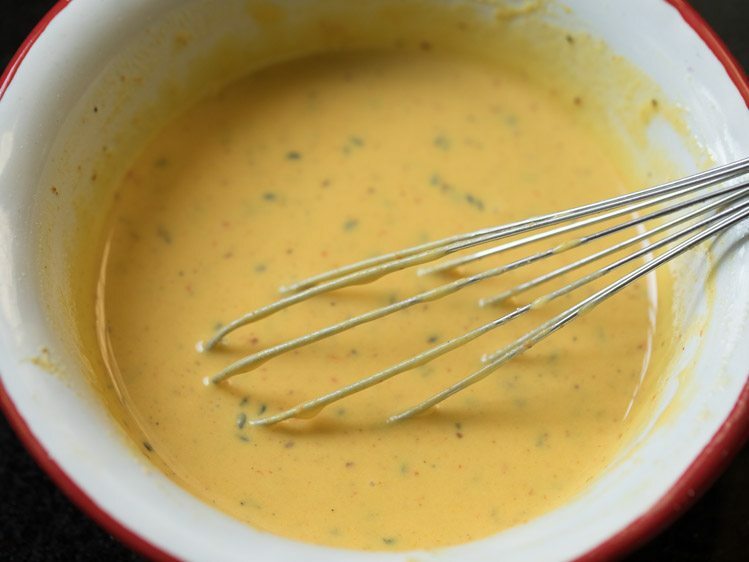 place the cheese cube in the batter and coat it evenly with the batter. now gently slid or place each batter coated cheese cubes in the hot oil. fry cheese pakoras on medium to medium-high flame. when one side is crisp and golden, then turn over and fry the second side. turn over again and continue to fry. 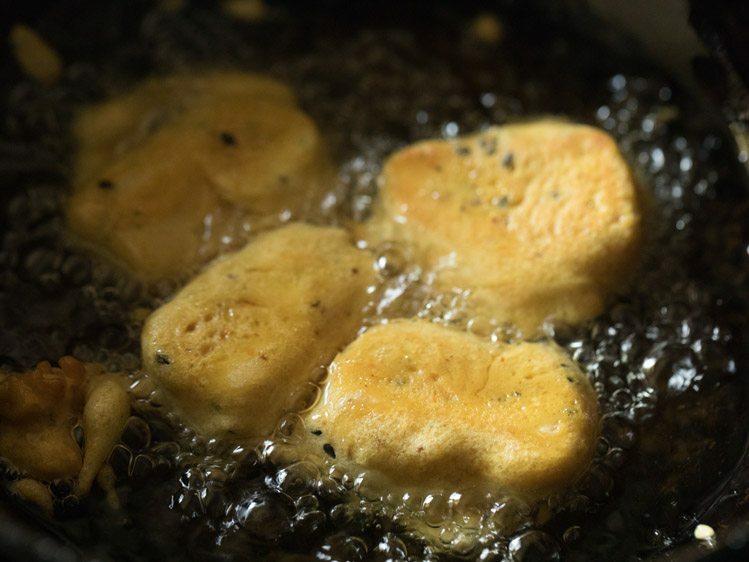 you can turn over a couple of times and fry till the pakodas are crisp and golden. however do note that do not fry these pakodas too much. just fry them till they turn golden. 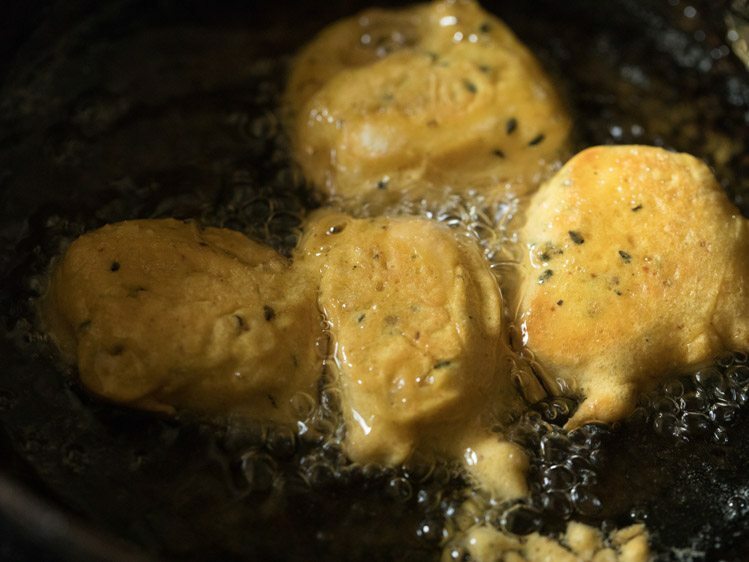 remove fried cheese pakoras with a slotted spoon. place the cheese pakodas on kitchen paper towels to remove excess oil. serve cheese pakora hot with any chutney or dip or sauce of your choice. do note that cheese pakodas have to be served hot. if they are served warm or at room temperature, the melted cheese becomes thick and solidified. 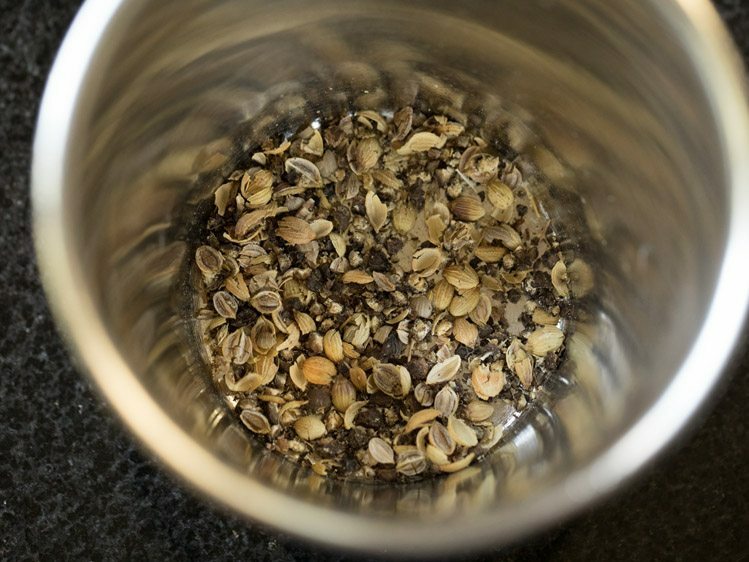 1. firstly in a mortar-pestle take ¼ teaspoon black pepper and ¼ teaspoon coriander seeds. 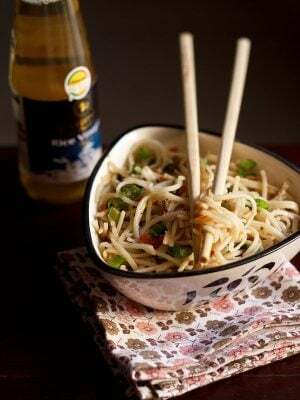 you can add more black pepper if you want. 2. crush coarsely. keep aside. 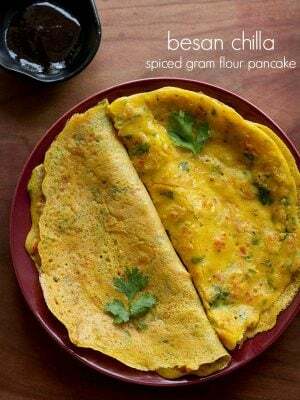 3. in a mixing bowl take ½ cup besan (gram flour). 4. then add the coarsely crushed black pepper and coriander seeds. 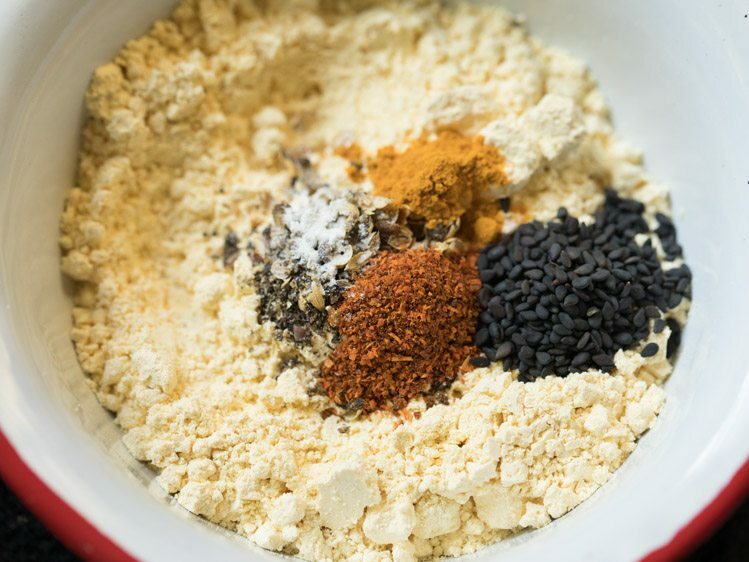 5. add 1 pinch asafoetida, 1 pinch baking soda (optional), ⅛ teaspoon turmeric powder (or 2 to 3 pinches), ¼ teaspoon red chilli powder and ½ teaspoon sesame seeds (black or white sesame seeds). 6. add salt as per taste. do add less salt as cheese already has salt in it. 7. add 4 to 5 tablespoons water or add as required. 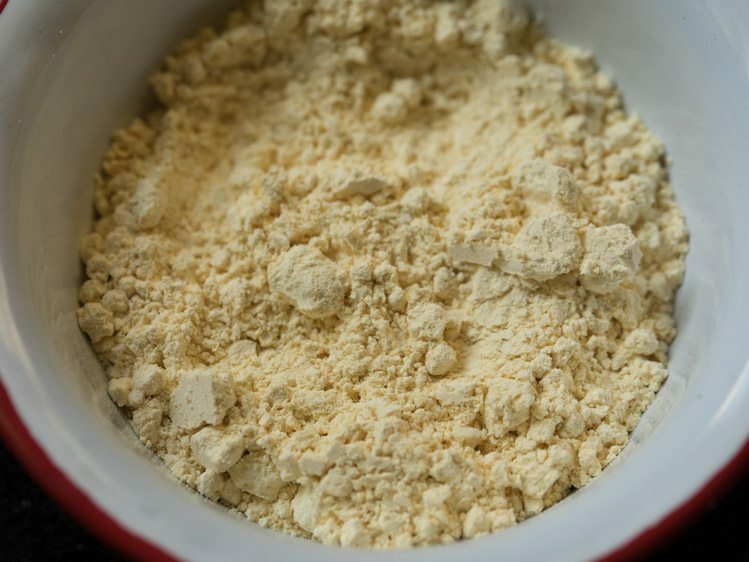 8. mix to a smooth thick batter without any lumps. 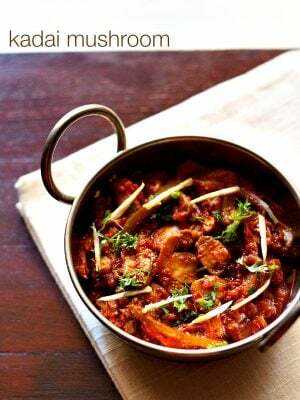 if the medium has a medium consistency, then add 1 to 2 tablespoons more besan and mix again. 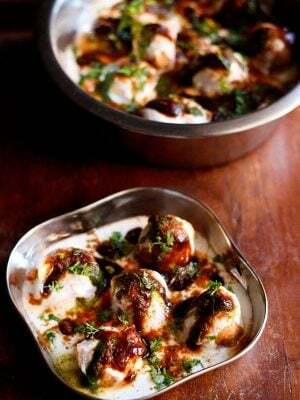 9. take 5 amul cheese cubes or 125 grams processed cheese or mozzarella cheese. do note that the cheese cubes have to be removed directly from the fridge and then sliced. do not use cheese cubes which are at room temperature. 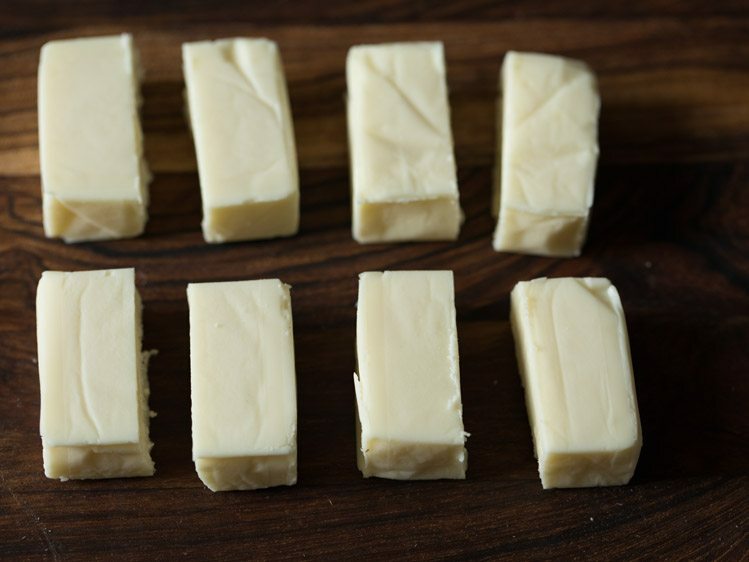 10. cut each cheese cube in two equal parts. 11. heat oil for deep frying or shallow frying in a kadai or pan. 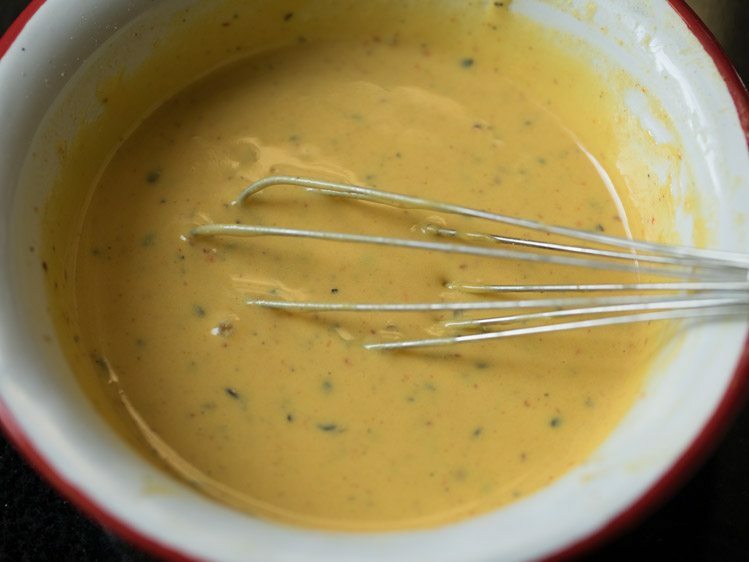 12. when the oil becomes hot, add 4 to 5 drops of the hot oil in the besan batter. 13. mix it very well. 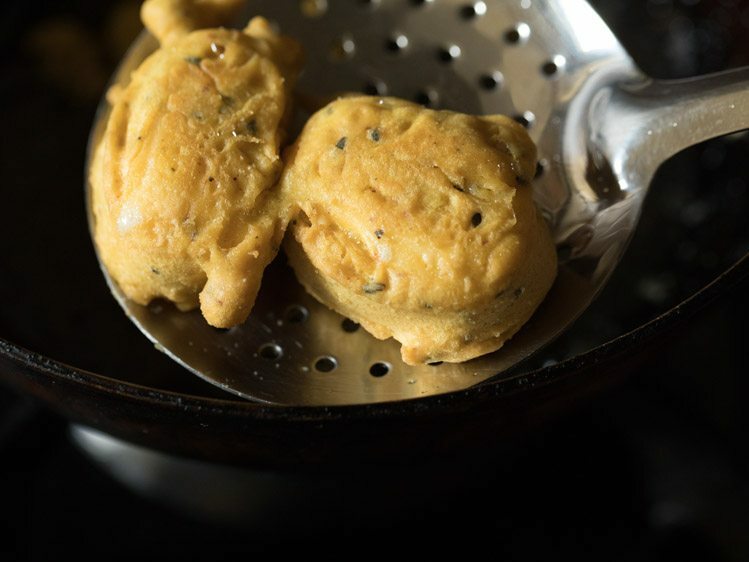 this helps in making the cheese pakoras crisp and they also absorb less oil while frying. 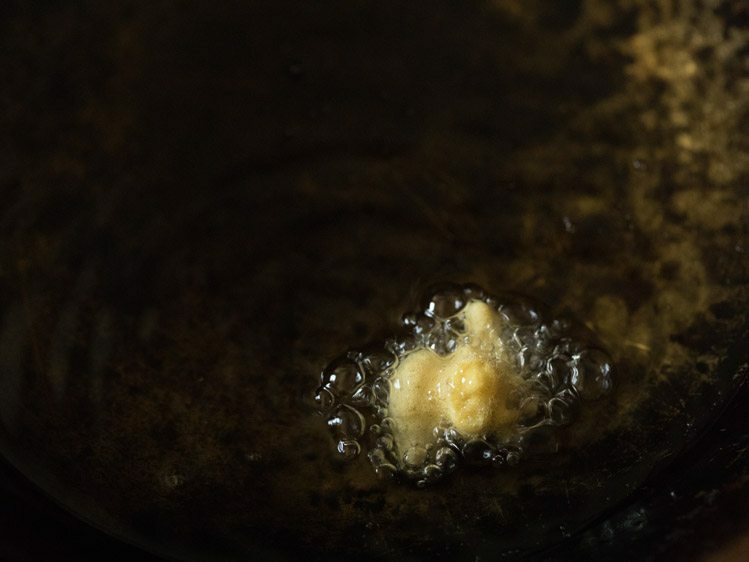 14. now check a tiny portion of the batter in the oil. it should come up steadily and gradually on top. this means the oil is hot enough for frying. 15. place the cheese cube in the batter. 16. coat it evenly with the batter. 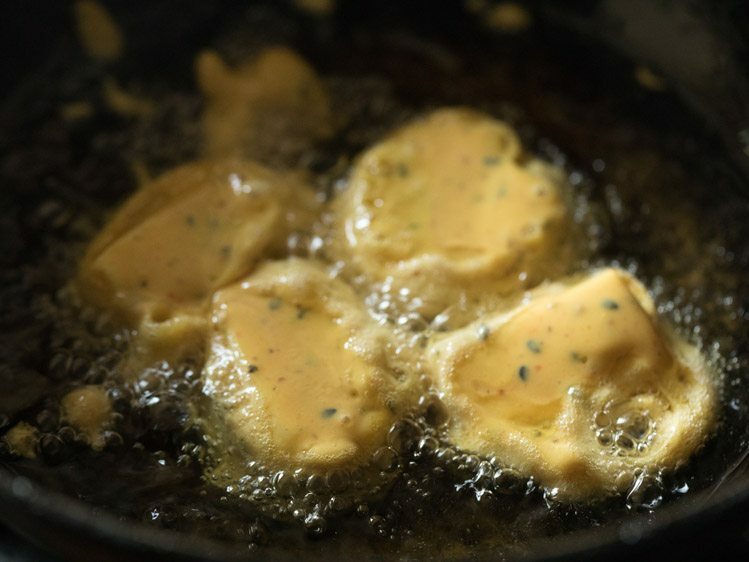 17. now gently slid or place each batter coated cheese cubes in the hot oil. fry cheese pakoras on medium to medium-high flame. 18. when one side is crisp and golden, then turn over and fry the second side. 19. turn over again and continue to fry. 20. you can turn over a couple of times and fry till the pakodas are crisp and golden. however do note that do not fry these pakodas too much. just fry them till they turn golden. 21. remove fried cheese pakodas with a slotted spoon. 22. place the cheese pakodas on kitchen paper towels to remove excess oil. 23. serve cheese pakoda hot with any chutney or dip or sauce of your choice like pudina chutney or mint coriander chutney or green chutney or schezwan sauce or red chilli garlic chutney. do note that cheese pakodas have to be served hot. 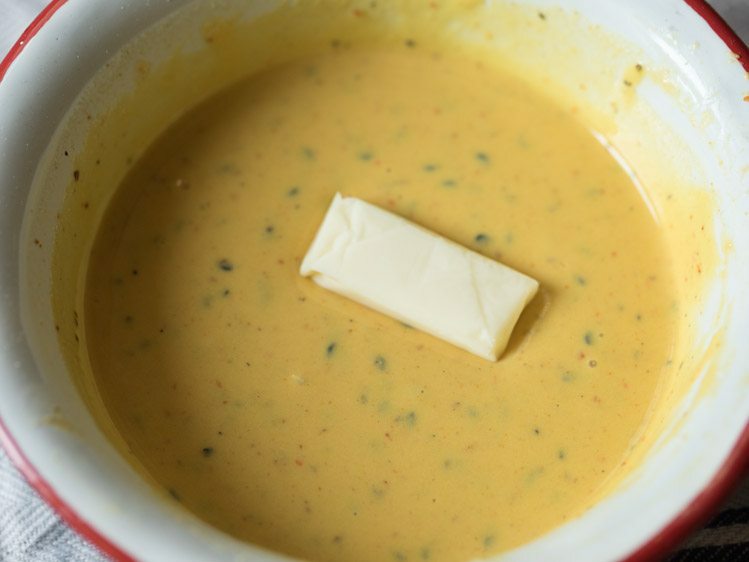 if they are served warm or at room temperature, the melted cheese becomes thick and solidified.